Caroline is a busy professional and mother of three girls under the age of 9 who was discouraged because she felt she ate “so little” but was not seeing the “pounds decrease”. And, she wanted to be as strong and healthy as possible to keep up with three children. She was looking for help losing the last 10 pounds and creating fitness and eating plans to lose weight and maintain the weight loss. Scroll to the bottom to see her review of me! We scheduled a series of nutrition consult sessions and weekly personal training sessions. Here she is performing a split-stance low cable row. Look at her terrific progress in just 3 months. Note the significant body fat loss and inches. Success of a weight loss and exercise program is defined as achieving and maintaining a healthy BODY COMPOSITION not only WEIGHT LOSS. For more information about this, refer to my blog on body composition. 12 pounds, 9 inches and 5.6% Body Fat lost in 5 months! Not to mention, muscle gained. She began with the ability to only do 13 max pushups and now she can do 20! Weight 146.6 pounds and 23.4% body fat. 13.8 pounds lost and counting! Despite lots of reasons to find excuses, Caroline doesn’t. She makes eating healthy and getting in her workouts and hiking with the family a top priority. She eats out frequently for business and she scans the menu and using the knowledge she has gained from our nutrition counseling sessions, makes the healthiest possible choices. She keeps her focus and she is rewarded with continual body fat loss and muscle toning. Her husband is so impressed that he has started training with me! I am constantly feeling incredibly lucky that I found Maria! I am amazed with what I come away with in a one hour session! Everything she does to help you reach your health and fitness goals is customized for you – there is no one size fits all. Being an engineer, I appreciate that her strategies are rooted in science and that I get to load up on ‘data’ when I meet with her. I’ve always been athletic but after a decade of having children I needed someone to help me get where I wanted to be and hold me accountable. I THOUGHT I knew a lot about healthy eating and exercise but what I learned from Maria is that most of what you read and hear is garbage. Her guidance has changed my entire family’s approach to diet – even my two year old who is my youngest of 3. I am in better shape now than I was 20 years ago – my kids and family are amazed and everyone has asked me what I’m doing. I’ve only been working with Maria for 3 months and the results – which I think she will post – are shocking! Even more proof: I played golf for the first time in seven years a week ago and played better than I ever have, had no soreness or discomfort and had an easy time walking the course in 90 degree heat! Thank you Maria! 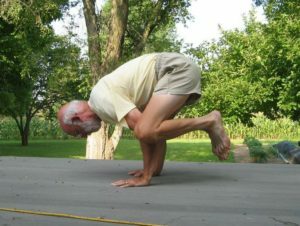 Gene performing a yoga Crow Pose. Maria has a vast group of past and current clients. They range in age, location and life experiences. To give you a better sense of the people Maria is helping through her business and expertise, we will be doing regular client spotlights. To start, we would like you all to meet Gene age 66 years young. Gene was born in the Maryland countryside and attended Michigan Tech receiving a Bachelor’s degree in applied physics and a Master’s in nuclear physics. While in college, he put his classical music background and radio experience to use by working for NPR’s music department. Upon graduating, Gene moved over to Michigan State University and worked as Music Director/Operations Manager/Classical Announcer for NPR radio for 38 years until retiring in 2013. Gene has lived a full life. He loves cycling, running, and hiking and has completed several amazing feats such as solo bike rides and endurance road races. Other hobbies of his include stamp collecting, ham radio and taking care of his immense garden. Gene is an ambitious soul and although he has completed a lot of the things on his bucket list he is still hoping to hike the Grand Canyon again from rim-to-base-to-rim, travel to India to study with yoga gurus, finish all the remodeling on his home, ride a 300-mile 24-hr bike race and bike from Fairbanks, Alaska to the Arctic Circle. Gene does not ever want to be slowed down so when he developed a severe case of sciatica in 2013 and had to undergo back surgery he knew he needed help. He went through physical therapy post-surgery and began working with a personal trainer. However, he did not connect well with his trainer and wanted a second opinion. That is how he came across Maria Faires. 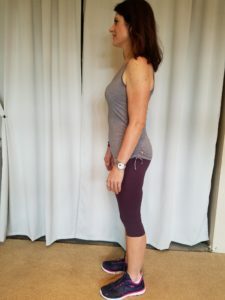 He was drawn to her because of her extensive experience in exercise and nutrition, her background in Medical Exercise as well as her experience working with older clients. Gene has always been dedicated to living a healthy life, so he was not seeking help in weight loss or major lifestyle changes. He began working with Maria remotely via email and phone. He sent her the workouts he had received from his former personal trainer and Maria altered them to be better for strength preservation, rehabilitation and avoidance of injury. That is something that few people are better at than Maria – she is always up to date on the best exercises to avoid injury and provides post-rehabilitation exercise programs or for the healthy individual, designs effective programs that will help prevent injury in the future. She does not follow fitness trends just because something looks cool and hard, but is more concerned with protecting the body and building strength and endurance in a safe way. Maria gave Gene three basic workouts that he could alter to avoid boredom. Since they worked remotely they began by calling weekly and then gradually tapered off to only calling every three months. They have built a great relationship where Gene feels comfortable asking whatever questions to help him with his health, nutrition and fitness needs. A big thing that sets Gene apart from Maria’s other clients is his work as a yoga instructor. Gene has always been one who wants to expand his knowledge and delve in to unknown territory. That is how he came across yoga. Gene discovered yoga later in life after his back surgery. He was taking a Gentle Yoga class at his gym and realized they were doing the same thing every class. One day he thought to himself, “I can teach this,” and so he did. He got his 200-hr teacher certification and immediately began teaching his own version of Gentle Yoga at his local high school’s adult education program. Currently he teaches that class four times a week and has an average of 10 students per class. The average age of his students is 70. Since his 200-hr training, he completed Bryan Kest’s Power Yoga teacher training. He does not know if he will ever teach it because Power yoga is a vigorous and challenging style that is not suitable for seniors, but he has incorporated Bryan’s philosophy in to his classes. This philosophy takes the perspective that yoga is more of a mental practice than a physical workout. Gene also has become certified as a Chair Yoga instructor, but has yet to find employment in that area, let alone time to teach it. Maria also supports Gene in his passion for yoga and is always offering advice for how he can best reach his senior students. Gene appreciates Maria’s genuine concern for him. She always is reminding him to eat more quinoa and whole grain, for example, and advising him on what yoga poses he should or should not be doing for safety for himself and his older students. Gene encourages everyone to seek Maria’s help no matter their current health status. She is very well qualified to guide you in whatever direction you desire to go. If you need to lose weight, Maria can review your diet and recommend safe substitutions. If you need a review of your present weight-training routine, Maria can help tie them into your overall goals. Maria can give you the Big Picture about how to obtain wellness, unlike other “fitness” people who are more narrowly focused. Have you noticed the things you do that make you successful in your path towards creating a healthier lifestyle? Pieced together, over time, these small things add up to big success. I’ve noticed that when I take a water bottle with me in the car I reach my daily water goal intake more easily. So now I make it a point to take a full one every time I get in the car. I have noticed that I’m always relieved when I have healthy food cooked so that all I have to do is reheat it. One hour cooking = several healthy re-heatable meals, yay! That realization now motivates me to do it again and again. And each time I take the time to plan, shop, and cook I’m so glad I did. Pay attention to the thought, “that worked for me, I should do that more”. In fact, look for it. What worked out well, what led to success? Then do that again! 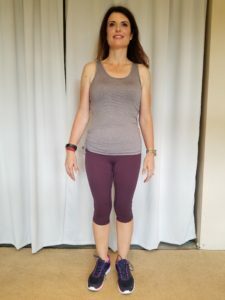 My client Cindy realized that she dreaded doing cardio after work when she was tired but what worked well for her was to get up at 5am and do her cardio before she gets ready for work. Mark noticed that he was more likely to get a workout in if he went immediately from work to the gym instead of going home and getting side tracked. Kevin noticed that when he packed five healthy snacks Sunday night to take to work with him Monday morning he was less likely to go get something from the vending machine. Brenda noticed that if she packed tomorrow’s lunch while she is making dinner that she is more likely to eat a healthy lunch. Fay noticed that if she cooked two vegetables at every dinner, she enjoyed having low-cal, filling and healthy leftovers easily available for her lunch and snacks the next day. Donna noticed that meal planning was easier when she kept a file of recipes that she would like to make sometime on her desk. As you go through this week, pay attention and notice what you do that makes it easier for you to be successful. Perhaps be inspired and put into practice, some of the behaviors I’ve listed here.